In the beginning of times, the people known as Egbas were offshoot of Oyo. They lived in hamlets scattered in the Egba forest South West of Oyo under a high-handed leader – Alafin whose Ilaris exploited the Egbas until their hero, Lisabi, liberated them, and they became a united nation under him. However, this widely spread people belonged to three distinct branches as follows: the Gbaguras – the largest in land area under the leading King known as Agura. They settled in the Northern part of Egba forest. The second was the group known as Egba Oke-Ona because the area they occupied borders on Ona river and spread into the land of Remo province. The third was Egba Agbeyin to the west of the forest. Some of the Egbas also claim to come from Ife. The Owus were originally savannah dwellers, who had their settlements near the Nupes. Infact, writers up to the 11th and 12th centuries mistook them for Nupes because of their warlike posture. Usman Dan Fodio called them (Noofes in his writing). They were also cotton farmers and Ifa (oracle) worshippers. Their forefathers who were cotton farmers also went on long war expeditions and explorations and reached as far as Ife in the forest region. Agbonmiregun – Setilu – was a well known Ifa priest and was the father of Obatala, a chaste man who also travelled far and near in what became known as west Africa. He was a great man who later married Oduduwa’s first daughter – Iyunade, by whom he got his first son, Ajibosin. This Ajibosin was the darling grandson of Oduduwa who cried to get the crown from his grandfather and became known as Asunkungbade. He was later sent back to his father’s home town at Enpe where he became know as Omo Baba Olowu (son of a the cotton grower – father Obatala). Ajibosin was reputed to have many children including 6 males: Ayoloye, Amororo, Otileta, Akinoso, Akinjobi and Lagbedu (Ola-n-gbendu). It was Ayoloye who on one of his war expeditions took refuge in Ibadan and took “Nkanlola” daughter of a leading Ibadan chief as wife, and had to sacrifice her to appease a river. This was the event that sent Owu parking from Ibadan, and finally led them to a land close to Ife where they settled under Amororo. This is the place that replaced “home”. This was Owu Ipole. They left great landmarks in Ibadan including river Ogbere (Ifa diviner of Olowu after whom the river was named). The Anlugbua shrine near Orita Bashorun etc. The Owus, having gone through harrowing war time experiences over centuries, built a formidable fortress the type that had never existed in Yourba land (see Mabogunje’s Owu in Yoruba History). In 1821, under Olowu Akinjobi war broke out as a result of Oba Amororo who died in 1817 trying to stop slavery among the Yoruba people of that region. Oba Akinjobi who succeeded Amororo had no answer to the intrigues of his enemies and detractors of Owu’s posture against the infamous slave trade. 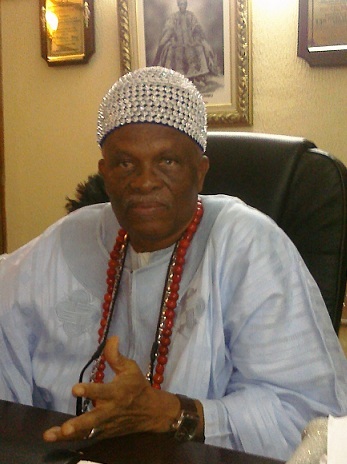 Amororo had earlier arrested and tortured an Oyo crown prince for carrying on slave trade. He also fought and defeated Ife for the same reason. The posture of Owu against slave trade met the displeasure of Ijebu who mounted toll gate and collected money from the hintherland Yorubas who carried slaves to Lagos via Ijebu. The immediate reason for hostility was that an Ijebu woman accused an Owu trader at Apomu market of short-changing her on (Atta Liya) alligator pepper. She claimed to have bought six bags of the pepper, but on getting home one of the six bags ran short of two peices of the pepper!!! The strange thing is that none of the other Yoruba women and men on that market day was able to broker peace. The fracas led to full scale war (1821-1827) that finally drove the Owus out of Owu Ipole! Even the Ooni whose Ife army had once been defeated by Owu not only joined the battle, the Ooni personally put a curse on anyone who would settle on the devastated Owu Ipole. Ibadan and Oyo joined the battle; Owu was completely surrounded and embattled for 4 years but the enemies could not scale the walls which enclosed Owu. The combined forces of Ijebu, Ife, Oyo and Ibadan tried to persuade the Egbas to join the war against Owu, but they refused. That was remarkable but we need not say more about it. However, as a result of their failure to join the forces of Owu detractors, the combined army turned against Egbas and one by one they burnt down the towns and village of the Egbas. For two years the unsuspecting Egba towns were attacked and they and their many people and neighbours including some traders were burnt down and driven out of their peaceful settlements. This way and that, the Egbas and their hemmed neighbours ran out and finally became refugees under the Olumo Rocks on a land they finally named Abeokuta. These events took place between 1824 – 27. The combined forces returned to Owu Ipole, bent on burning the city down to ashes. When they finally broke through the barriers of great Owu walls, the enemies found old incapable women and some children whom they carried away to Ife … bulk of the men and leaders had carried their goods, artefacts and their Ifa out on a trek that lasted over six years, during which their wearied escapees had settled here and there especially in Ijebu land and Ibadan which they re-entered through Remo land. Yet the main stock encouraged themselves to press on aiming to get to Iseri in present day Lagos. They crossed the Ogun river at Opeji and about 1828 – 29 landed at Oke-ata near Abeokuta. They heard news of some of their relatives settling down with the Egba refugees in Abeokuta but they were bent on getting to Lagos. Within two years the “temporary” sojourn in Oke Ata had spread to nearby Aro, Olomore, Kurere, Idiori and some parts of Imala. 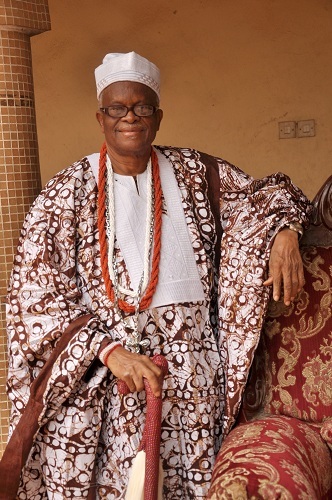 For nearly two years the Egba leaders headed by Sodeke came to persuade them to join them in settling in Abeokuta and through the persuasion of General Sodeke and Agbo of Gbagura who were war acquaintances of Balogun Olufakun, Laara, Gbademu and Adetaloye they agreed to join the Egbas to live in Abeokuta. Within the two years of their settling down in Abeokuta between 1827 -1830, the Remos, the Dahomey had attacked the new settlement of Abeokuta using the Kobape/Sokori route (the Remos) and the Isaga/Sokori route – the Dahomeans to attack the Egbas. It was for this reason that the Egbas never dared settle in that area, so they saw an opportunity to get the Owus to settle on that dangerous route of their enemies. Infact, in the settlement arrangements that had gone on, they had persuaded the Owus to settle along Ogun river banks of Sokori; and also told them to occupy all that land areas up to Lagos where they (the Owu) originally intended to go. Within their first five years of settling in Abeokuta, the Owu had faced and warded off Dahomey attacks on at least two occasions in 1839 and 42. It was on one of such attacks that the Owu army discovered that the Dahomean army comprised mainly of women – one breasted amazons. Enraged, the Owus challenged the Egbas to summon courage and together in 1845 they successfully put an end to the incessant attacks of the Dahomeans. The Owu Armies led by their generals chased the Dahomeans even into their own home of Porto Novo. The cannon that Owu seized from them is still in Owu Palace today. When one considers the plight of both the Egbas and the Owus especially when one considers the circumstances which have brought both from their homesteads to this Abeokuta, one cannot but think of both as having a common destiny. They have both charted a common part, fought and won victories over common enemies and they are fully integrated and made full successes of themselves in their new land of refuge – Abeokuta. There had been forces – social, political and economic – that had drawn us together. I believe that having been so drawn together, we should not allow such powerful conditions to now set us apart. Our fore fathers did not war against each other. History had brought us who were neighbours to the same situations, under same political umbrella – that is now not protecting both from inclement social conditions. What must we do? We are only two in number – Egba and Owu. This is undeniable. There are four kingdoms, but two people! This seems complicated but certainly not beyond our comprehension. All occupy every parts of the four corners of Egbaland. (Please note that the term Egbaland is a convenient term that means Egba and Owu). In the same breadth and as have been explained above, Abeokuta IS NOT EGBALAND; it is a city belonging to both Egba and Owu. If there is anything to share, it is the land area – nothing more. Let Egba occupy the 3 corners and Owu her only 1 corner. As for any other thing (IF ANY) let such be shared at a ration of 75% Egba and 25% Owu (75% to Egba and 25% to Owu). If you will ponder a while before you begin to protest, that ratio is in agreement with all earlier proposals and postulations. I am not a politician, neither is any of the other 3 Obas a politician (I guess), but if politicians should continue to have a hand in traditional and historical unity herein postulated, they can create either 2 (Egba and Owu) traditional councils or else 4 (Egba, Owu, Gbagura and Oke Ona) traditional councils. You may go to the Discussion Forum to enter conversation on this article. Its about 2pm, Thursday 22nd September in the alluringly illuminated Akala Lounge of the Olowu Palace on Oke Ago-Owu, Abeokuta. The Olowu of Owu Kingdom, Oba Adegboyega Dosunmu, CON, formally inaugurates his Projects Execution Committee (PEC) consisting of 15 distinguished Owu chiefs and citizens under the chairmanship of the Aare-Ona Kakanfo of Owu Kingdom, Chief Bolu Akin-Olugbade. Stories were told, parallels were drawn, and promises and resolutions made as the PEC was jump-started to a promising action-laden inception. Its mission – to take charge of conceptualizations, projects planning and fund-raising on matters related to the palace specifically, and Owu Kingdom at large. Click here for report and more photos. Do you know that you get automatic notification via email of every new article and postings in Owulakoda.com if you fill the Email Subscription box on the right hand column? Olowu, The Son of Obatala! click for Homepage, & for Owulakoda Magazine. At the 2010 Omo Olowu Festival which succeeds the annual Owu Day Festival, Oba Adegboyega Dosunmu, the Olowu of Owu traced the origin of the Omo Olowu festival (Odun Omo Olowu) to the times of Ajibosin, the son of Obatala and first grandson of Oduduwa. Owulakoda investigates OBATALA, the great mythical figure who is both a creator deity and father of the Owus, who is also acclaimed as the King of Ifon, and who as the Orisha-nla is also the Lord of all the Orishas, and commands perhaps the largest and widest following worldwide among all the African deities, infiltrating diverse and widespread cultures in Asia and the Americas. Truly a man-god of many attributes and calling, OBATALA is placed under the microscope as the Owulakoda.com team features this monumental intrigue! Follow the Olowu’s speech below and click on these 3 different links (1.White deity, 2.Father of Olowu, and 3.Videos) to discover OBATALA, Baba funfun, Orisha-nla, Igba-keji Odumare! Odun Omo Olowu is an age-long Owu Festival established by the very first Olowu whose name was Ajibosin. He was the son of Obatala – a versatile Ifa priest who was also a renown farmer of the cotton crop. When he was not farming, he toured towns and cities visiting palaces divining and counselling great kings including the legendary Odudua whose first daughter, Iyunade, he also married. Iyunade Odudua was the mother of Ajibosin. Ajibosin received his crown (Aare) directly from the “head” of his grandfather, Odudua, and took it to his own father’s town where he was popularly known as “Omo Olowu” –the son of the cotton grower or farmer –and later assumed the title of Olowu. He was a wise king who recognised the grace God (Olodumare) had showered on him as a descendant of two great men – Odudua and Obatala, Like his father, Olowu Ajibosin practised the arts and vocation of his own father: farming. Upon his first anniversary as king, he rallied his people and children around himself sacrificing the best product of his farm ... a tuber of yam, which he ceremoniously split into six parts offering same to Olodumare in gratitude for His bountiful grace and plentiful provisions of good harvest. He forbade his family from eating yam which is harvested late because it has ceased from being a tuber and become a root. His household ate new yam in the first three months of the new harvest but thereafter as the rains descend, they planted yam for the coming year. He achieved great things through this annual festival. Olowu never went to war during the rainy season because he kept himself and his people busy on their farms. He achieved peace and harmony among his people for he established the festival as a period of gathering them together as family. He got every family together for the honouring of their elders and heads of their communities. The Odun Omo Olowu had been celebrated for centuries as a private festival, and it followed certain pattern: The Imogbos announce to the Olowu the ripeness of the yam for harvesting. The Olowu is the first to taste the yam but the ceremony of eating must be done at a thanksgiving in the presence of Obatala at his shrine. Five days later the Akogun, Olowu’s war chief and military adviser then ate the new yam. Following this ceremonial events, the whole people of Owu can now eat of the new yam for three months only or until they have consumed the first harvest. Things have naturally changed over the years, All traditions are dynamic and times and happenings do force people to change. For example, new techniques in agriculture have made it possible to harvest yams twice a year! Climate change has made many old things to change for better or for worse. People all over the world are changing their life-style but the purposes of doing certain things may not change. For us in Owu, the original purpose of celebrating Omo Olowu Festival has not changed ... that purpose is to give thanks to Olodumare for supplying all our needs. Nobody in the world is making their needs of thanking God a secret! We Owus are not an exception. Omo Olowu Festival is today becoming a public event. We have nothing to hide; and all our praise and thanksgiving is to God Almighty–the Olodumare. From today I, Oba Olusanya Adegboyega.Dosunmu, the 13th Olowu since our arrival at this our new settlement in Abeokuta; declare this Festival as Owu‘s public celebration of the goodness of the Almighty God– Olodumare by our people everywhere around the globe. The festival will admit all of Owu people in Nigeria and the Diaspora and be celebrated on the second week-end of the month of October. The splitting of the yam will be performed at this special sacred occasion solely by the Olowu, and the Owu people openly as a public celebration of thanksgiving, using the yam tuber freshly harvested as our symbol of God‘s grace and–provision. May God bless Owu people and all peoples of Nigeria, and citizens of the whole world. held on Sat. 24th August 2002 at Olowu Coronation Ground. …We give thanks and adoration to Almighty God for his Grace and Mercies on us and our presence here once again. It has been destined that the third Owu Day Festival will hold today, to celebrate and witness this impressive outing. I am particularly grateful to God Almighty Father to present this 3rd Edition of Owu Day Festival. The 1st and 2nd Owu Day Festivals were successful and rewarding. This 3rd Festival has surpassed the previous ones, in many ways. We are grateful to God for his blessing and protection. We have remained focused by the Grace of God. We thank Kabiyesi Oba (Dr.) Olawale Adisa Odeleye Lagbedu 1 Olowu of Owu and the entire Owu Traditional Chiefs council for the confidence reposed on the Chairman and all members of the Planning Committee. It is a festival of stock-taking and re-dedication for fresh Initiative and determination to develop Owu domain and its people. It is a festival where the flame of Owu greatness will be nurtured to bum brighter and stronger. Your Excellencies, since we started the celebration ofOwu Day in Abeokuta in year 2000. The torch has been passed to other Owu settlements e.g. Orile-:::Owu, Owu-Kuta, Owu-‘Ishin in K wara State have celebrated Owu Day in their respective Kingdoms. 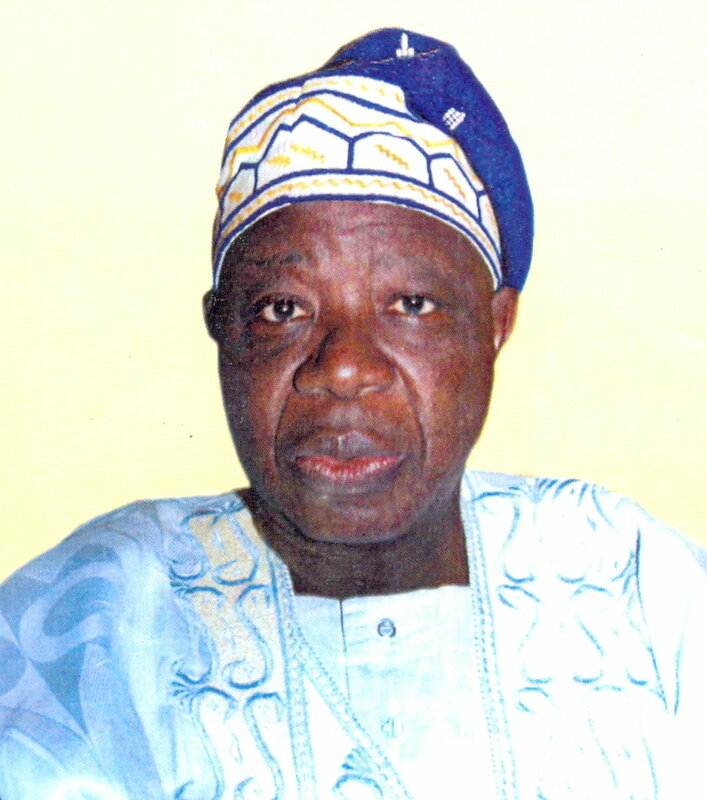 This year we have decided to highlight Iyalode Tinubu’s contributions in Egba History. It is pertinent to State that Iyalode Tinubu was married to Matiku (Balogun Owu). The role played by the duo during the Idahomey war were documented. Her role in commerce, and how she came to settle permanently in Abeokuta will be shown in the drama by Omilami theatre group which will come up soon. Your Excellencies, Kabiyesi, the Chairman of today please allow me to thank all our friends and well-wishers that have contributed to make Owu Day festival a reality. Some of our friends and well-wishers have made personal donations, but this year we are expecting everyone of us to please make generous donation for the realisation of our target this year. I must Thank every compound that has coptributed the minimum of N1,000.00 for the planning of this festival. The names of all donors at this event will be printed and displayed in the palace. To our well-wishers and Donors we thank you very immensely and pray God to always replenish your purses. The fountain of your wealth and good health will never dry. Since we settled in Abeokuta in 1834, the Owu people were classified as 3 townships VIZ. Owu, Erunmu and Apomu. We have decided to revisit. This year’s Owu day is unique, it has news to put smiles in the faces of all Sons and Daughters of Owu. The basis of lasting foundation for perpetual long term development would be laid. We thank God for making us part of this development. As usual, we look up to everybody here present to be fully committed and supportive in our giant strides. The Initiator, the man who saw the vision, Oba Olowu (Dr.) Olawale Adisa Odeleye Lagbedu 1 J will shed more light on this as the programme progresses. Your Excellencies, Royal Majesties, Distinguished Guests, ladies and Gentlemen. I urge you to feel relaxed and enjoy yourselves in an atmosphere oflove and memorable Interactions which the Owu Day provides. Above all, when it is time to speak development, please be a conscious part. Donate generously to support Owu Kingdom for development. Rich blessings from the most high shall be yours and may he recompense you abundantly. OWU DAY – Your Invitation!